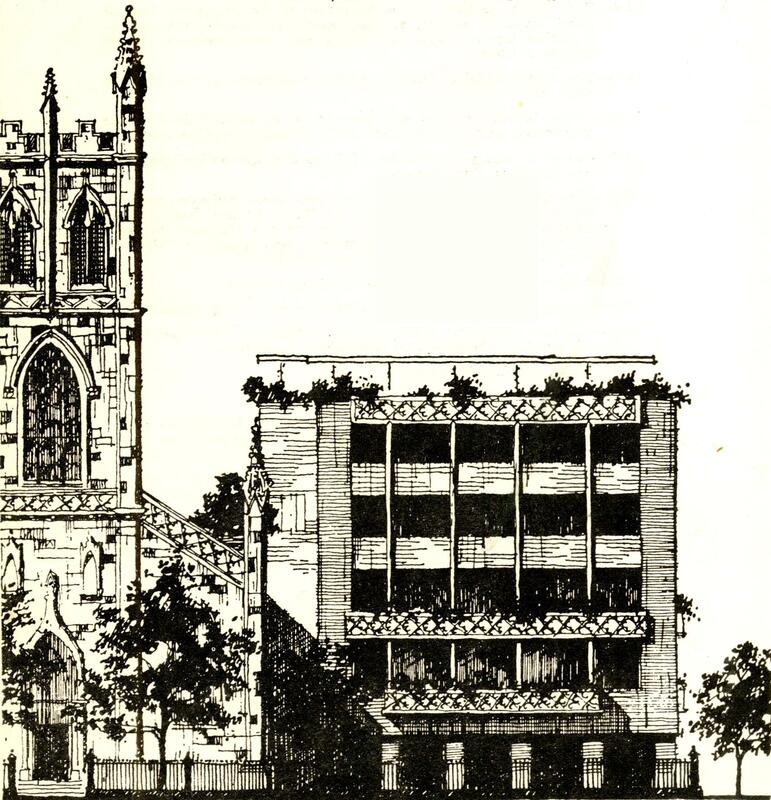 Edgar Tafel designed many projects including churches, colleges, and residences. Included in Tafel’s archive are drawings showing the progression from initial conceptual sketches to as-built drawings of both his completed and unbuilt projects. Pictured above are three sketches from Tafel’s project, the Twenty-First Century Institute in Vermont, drawn in 1974. The three drawings show the development of the main facade of the Institute which was meant to be a conference centre and office building. 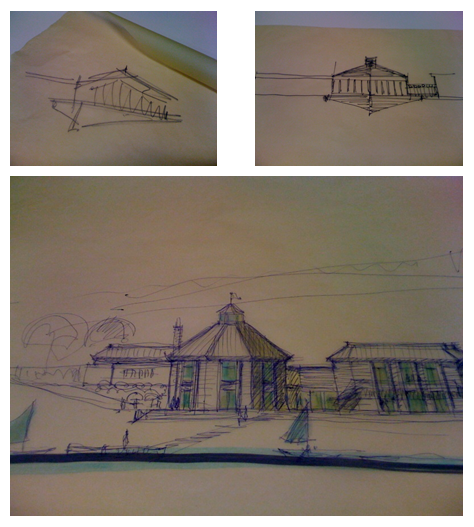 The sketches are very small but get larger as the idea for the building is fleshed out. These three drawings are only a selection of this project! More of Tafel’s projects, both well-known or unbuilt, are to be featured on the blog soon. This entry was posted in Drawings, Project Records and tagged drawings, projects on November 14, 2012 by .